The D2P2: Data. Decisions. Public Policy. Lecture Series launched with an inaugural talk by Sendhil Mullainathan titled, “The Psychological Lives of the Poor.” This lecture showcased a new way of understanding why the poor stay poor and the busy stay busy, and it revealed not only how scarcity leads us astray but also how individuals and organizations can better manage scarcity for greater satisfaction and success. 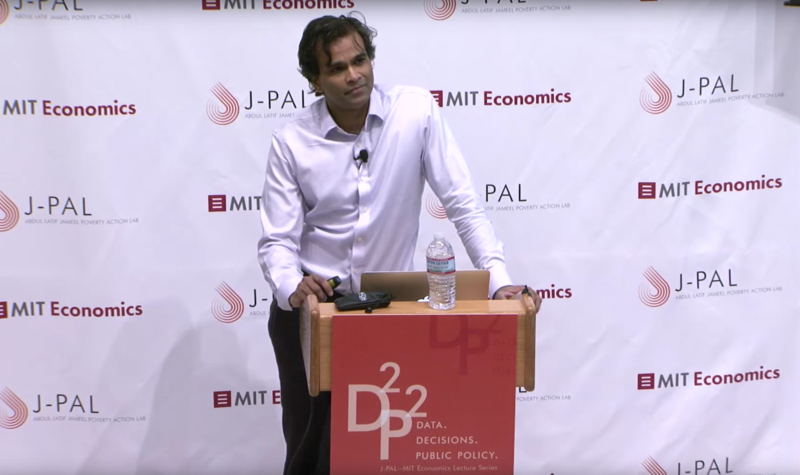 Sendhil Mullainathan is a professor of economics at Harvard University and co-author of Scarcity: Why Having Too Little Means So Much. For further reading on the topic, see his co-authored paper "The Psychological Lives of the Poor."